Because so many words in English came from French, there are many words that resemble each other in the two languages. In addition to recognizing these word pairs, it is necessary to find out exactly how words in a French sentence correspond to their counterparts in an English translation. This is an important part of learning a new language. While I refer to these words as ‘common words’, they are actually called cognates. Cognates are pairs of words in different languages similar in spelling and meaning. 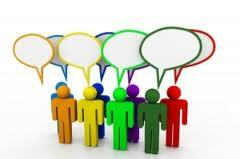 They can help you, a second-language learner, to expand your vocabulary and reading comprehension. On the other hand, false friends are pairs of words that have similar spelling but different meanings. These words should be avoided at all cost. Partial cognates are pairs of words in two languages that have the same meaning in some, but not all contexts. Learning cognates are truly important when preparing for your exams such as the DELF/DALF, TCF, TEF, as it allows you to learn a lot of vocabulary in a short period of time. In addition, when you are able to see the relationship between the two language it makes it even easier to appreciate and learn the language. In general, where there’s a “basic” word and a “complicated” word for something in English, the “complicated” word is often actually French. For example the word “start” can be replaced by the word “commence” in English. With “start” being the simple word and commence being the complicated word. The French word “commencer” means to start in English. Other examples include: “keep” is English, but “conserve” and “preserve” are actually French words: conserver, préserver. Now we both know that this app is not the cheapest. As a result, for those of us who do not want to buy the app but would still like to know about cognates/ common words, I have provided two lists which I have come across. 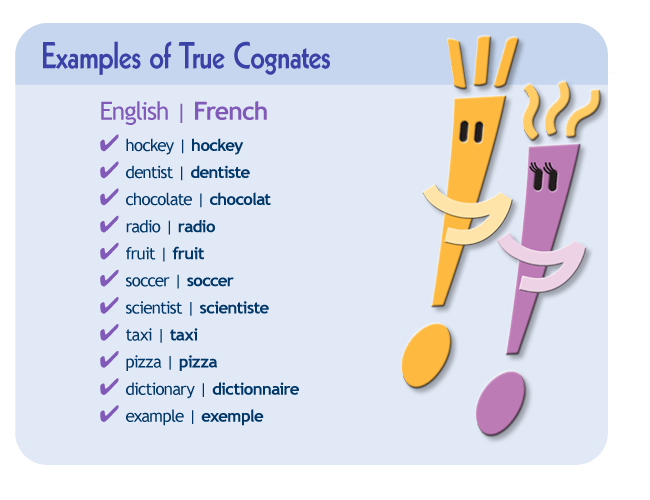 One is a list of cognates/common words between French and English and the other will show you how to recognize cognates/common words when you see them. While I am not promising that these two lists are complete, it is a good place to start improving your vocabulary.